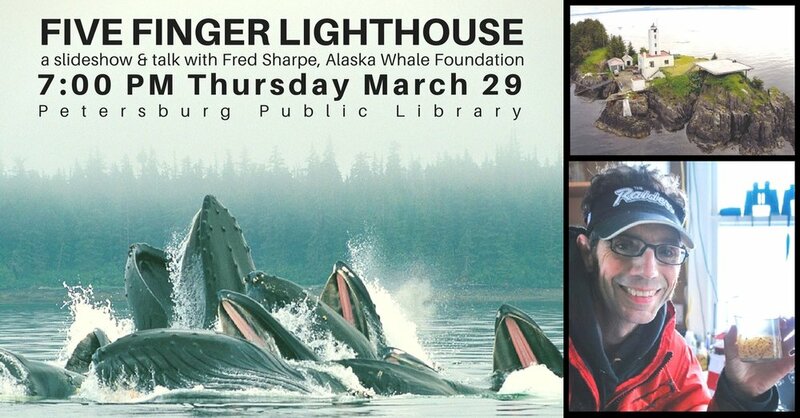 A special presentation by Fred Sharpe of the Alaska Whale Foundation. Fred’s work with bubble-netting humpbacks has been a centerpiece of AWF’s research program since the organization’s inception in 1996. Tenacious in his research, he has spent more time in the field observing social behaviors of humpbacks than most could fathom, and in 2001 he was awarded a doctorate from Simon Fraser University for his efforts. Fred’s research has attracted some of AWF’s more eclectic collaborators, including the SETI Institute and National Geographic Society’s Crittercam team. When Fred takes a break from whale research, he can often be found wandering the hills and forests of the Pacific Northwest collecting plant specimens and recording bird calls. Fred's handiwork can be seen in his books Birding in the San Juan Islands and Wild Plants of the San Juan Islands.